Little known to the reader of WW-I history are the battlegrounds that engulfed Romania on the Eastern Front. For two war-weary years almost two-million men confronted one another in 1916 and 1917. Entering the war late on the Allied side, the Romanian military was unprepared in weaponry, leadership, or logistics to defend a 960-mile-long front. The longest of any country in the War, it ran to the south along the Danube River and Bulgaria or north along the rugged ridge-lines of the Carpathian Mountains that defined its frontier with the Austro-Hungarian Empire. Dismayed by a crushing defeat in the first four months, Romania retreated from Wallachia into Moldavia, north and eastwards toward the province of Bessarabia in the Russian Tsarist Empire. Meanwhile Germany’s capture of Romania’s rich oil fields around Ploesti was delayed by successful British efforts to sabotage them in December of 1916. These two years of military struggles and entwining political events are recounted by Glenn Torrey, Professor of History Emeritus at Emporia State University. His new detailed account is lucid, highly readable, and comprehensive in bringing to light circumstances that turned the seemingly predictable into the unexpected. 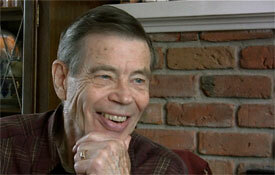 Finely crafted, his work describes the war both strategically and tactically without bias to either side. The author unravels the entanglements of the respective national leaders and their generals as they followed in the tracks of political events that often hold held sway over carefully calculated battlefield orders. The most debilitating of these events was the coming of the Russian Revolution in 1917 that led to the rapid collapse of demoralized and reluctant Russian divisions numbering one million men in Romania alone. During winter months of early 1917, the coldest on record to that date, a broken Romanian army fell into disarray, death, disease and hunger. Of 500,000 men mobilized in mid-1916, 160,000 were killed, another 140,000 taken prisoners and numerous others wounded. Torrey brings to light the most unexpected outcome as Romania benefited from substantial advice and arms support from French military teams. Under the leadership of General Henri Berthelot, whole divisions were quickly brought back to fighting order. During winter and spring months, an enormous inventory of arms was shipped via Russian rail lines including 199 airplanes for combat and air reconnaissance and most critically 2,700 machine guns, 1,370, 000 grenades, rifles, 100 million cartridges and other vital war supplies. By late Spring, they were ready to block more than twenty Central Power divisions – German, Hungarian, Bulgarian and Turkish – from attempting a final push into Moldavia. In this authoritative account, Professor Torrey brings clarity and focus to the ranks, battle orders, political debates, and personal encounters named individuals familiar to reader of World War-I history: German Field Marshal August von Mackensen and General Erich von Falkenhayn who joined in the initial invasion of Romania under orders from General Erich Ludendorff; General Henri Berthelot, who advised King Ferdinand of Romania and his generals, Alexandru Averescu and Constantin Prezan, and the Russian General Dimitri Shcherbachev. The stories of this bloody confrontation that would take the lives of almost one-third the fighting-age men of Romania, are known to me through the memoirs of my own father, Dimitri Dimancescu, a much decorated lieutenant later captain who fought from August 1917 1916 to an the initial armistice in 1918. His diaries offer a ground-level view of the war from the battlefields of the early defeats, to retreat, to retraining, and finally to a proudly-won victory in August of 1917. This occurred when his reserve regiment was called into a successful last-gasp attack against the Württemberg Regiment attempting a breakthrough from hill-top positions in north-west Moldavia. His direct opponent was Erwin Rommel who, though only a lieutenant, led 1,200 men in an attempted breakthrough. This Rommel recounted in 120 pages describing his two Romanian campaigns as part of his acclaimed WW-I memoir/tactical textbook Infantry Attacks (Infanterie Greift an). 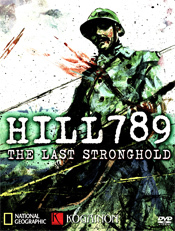 The final violent encounters are described in a documentary film, Hill 789: The Last Stronghold, directed and produced by my son, containing a commentary by Prof. Torrey. In the present work, Prof. Torrey displays his unerring factual accuracy and a commanding control of his wide-ranging sources. Many of these were gathered in his life-long study of Romania in World War One including two books focused on the successful efforts by General Berthelot to advise, modernize, and rebuild Romania’s military strength and his often acerbic relations with Romania’s General Averescu. Berthelot’s efforts were fueled by the French government’s determination to keep German and Austrian divisions away from the Western Front during the crucial stalemate in the trench warfare of 1917. That year and much to their surprise, the Allied Powers witnessed their first victory in the critical battle of Marasti-Marasesti-Oituz in Moldavia, where Romanian and Russians divisions held the line against a tiring and overextended German war machine. This event would tie down sizeable German forces for months to come – although allowing Germany in the interim to continue tapping Romania’s rich oil and wheat resources to feed its machines and troops. With the victory of 1918, and rapid advance of Romanian troops into Hungary and occupation of Budapest in 1919, and the subsequent Treaty of Trianon in 1920, Romania would emerge twice its size by gaining Transylvania from Hungary as well as Bessarabia (the eventual Republic of Moldova) that was wrested away from the Ukraine and Bolshevik Russia. Romania’s population grew in one step from a pre-war 8 million to a post-war 15 million. In constructing this battlefront study, Torrey provides keen insight into the interplay between politics and ‘chess-piece’ strategy that will enlighten the student of ‘war.’ Not the least is the unpredictability that can envelop the most cogently defined plans – weather, revolution, personality conflicts, logistical bottlenecks, communication breakdowns, and duplicity of hidden agendas. Its strength, too, is in offering an unvarnished view of the intrigues and political encumbrances affecting both sides in this debacle. The 422 page book contains extensive chapter notes, a comprehensive bibliography, seventeen maps, and more then three dozen photographs.